Welcome back to the second part of the "Moving to Ireland" series where we examine the alluring aspects of relocating to our small island. In the last installment published by itContracting, the team explored Ireland’s flourishing IT industry, and how we have welcomed hundreds of multinationals, SMEs, and global organisations onto our shores since the 1950s. Predicted to experience the highest European economic growth for 2018, Ireland has continued to rank as no.1 in the world for attracting high-value investment projects for the sixth year in a row. We can prove that it’s not just the 12.5% corporate tax rate in Ireland that once prompted the early arrival of Dell in 1990, and the even earlier appearance from Microsoft in 1985. This country has long been attracting companies of a certain ilk for decades now. The real question is: why do these companies stay? Here are a few reasons why Ireland was ranked as the 14th happiest country in the world, and the contributing factors to why so many people are choosing to move to Ireland. So why move here? Well, there’s the jaw-dropping natural landscape for one: Go (Ancient) East and you will stumble across Celtic monuments and monastic sites of millennia past. Head down south to the Ring of Kerry and make it as far as Skellig Michael Island – that ones for the Star Wars fans. Why not experience the Wild Atlantic Way? It’s the country’s largest cultural trail that winds itself up from the most Southerly point to the tippy top of Ireland. Start at the seafood capital of Ireland; Kinsale, in Cork and wind your way down to the most southern tip of Ireland, Mizen Head. Meet our famed dolphin, Fungi in Dingle (Kerry), and breeze through Clare for a glimpse of the Cliffs of Moher. Continue onto Galway and take in the Aran Islands before making your way up to the most northerly tip in Ireland; Malin Head. With hundreds of stop-off points all offering something different, it’s a trip not to be missed. And if you’re more inclined towards the hub-bub of an effervescent city, choose from an array of bustling hotspots with Cork city, Galway city, Kilkenny town and Dublin’s city just waiting to be explored. Take a tour of the Storehouse and learn how to pull a pint of Guinness. Stop by Kilmainham jail for a very animated tour of Ireland’s brawling past. Make your way to the GPO Witness tour on O’Connell’s Street to find out more about the country’s complex history. And last but certainly not least, take a trip down the cobblestones of Temple Bar. Parks, museums, restaurants, landmarks, hotels, pubs, clubs and culture galore. Sure, why wouldn’t you? You think Irish food, and bacon and cabbage, or a hearty full Irish breakfast springs to mind? Perhaps even the famous breakfast roll? Yes, some staple foods of the popular Irish cuisine, yet, scrape the surface and discover the thriving artisanal explosion of Irish gastronomy. Our farm-to-table offerings range from creamy cheeses to pickled chutneys and relish, smoked meats, meaty sausages, and even decadent chocolates. 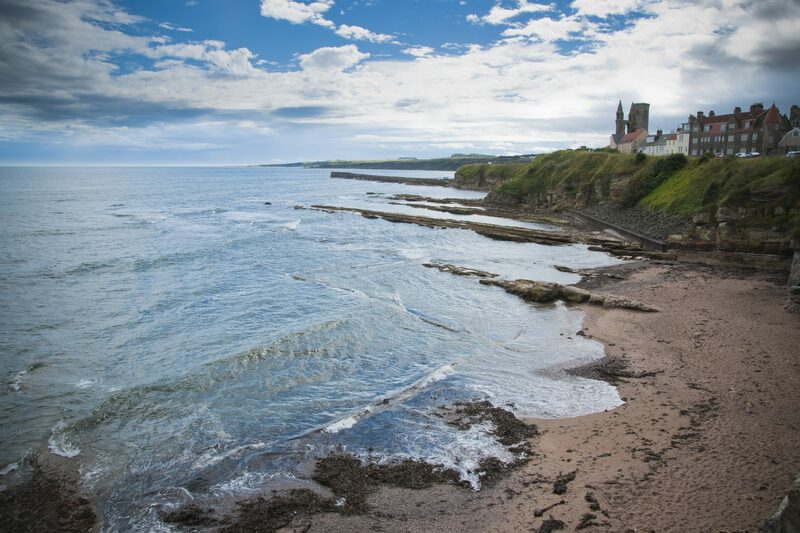 And you can’t mention Ireland without raving about our seafood culture. The definitive taste of the Atlantic Ocean is never far away, especially when you can easily pick up a big bag of mussels or a prime cut of giant tuna in a fish-monger nearby. Just taste some chowder down in Kinsale, and you’ll be hooked for life. Even though our country has rapidly evolved over the past 25 years, our global reputation for being one of the most hospitable and welcoming nations still stands... with arms open wide! You won’t go far without a curious question about your origins or a cup of tea; especially if you’re in the more rural parts of Ireland. Our cities now spill over with multi-culturalism, and we cherish the different nationalities enhancing our little nation, happy to return the favour of the notorious Irish diaspora. Still debating whether to move to Ireland? Want to learn more about Ireland? 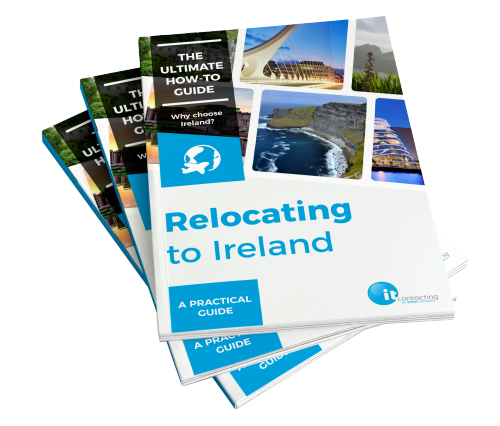 Download our ‘Moving to Ireland’ Guide or speak with our team today.